In India, we get all kinds of delicious, mouth-watering cuisine across the streets. But to be honest, hygiene and quality are one of the major concerns. 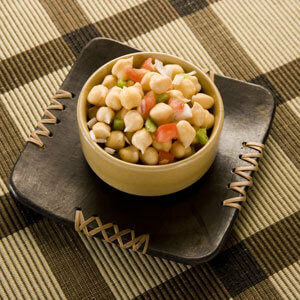 To eat healthy and tasty, this recipe will help you to make best chole chaat right at home. A great snack for people who love the spicier things in life, chole chaat is packed with flavor and aroma. Recommended Read: Wholesome Vegetable Pulao Recipe!